Yonan Carpet One of Downers Grove was presented with a specially designed shadowbox containing steel from the 911 ground zero site in New York. 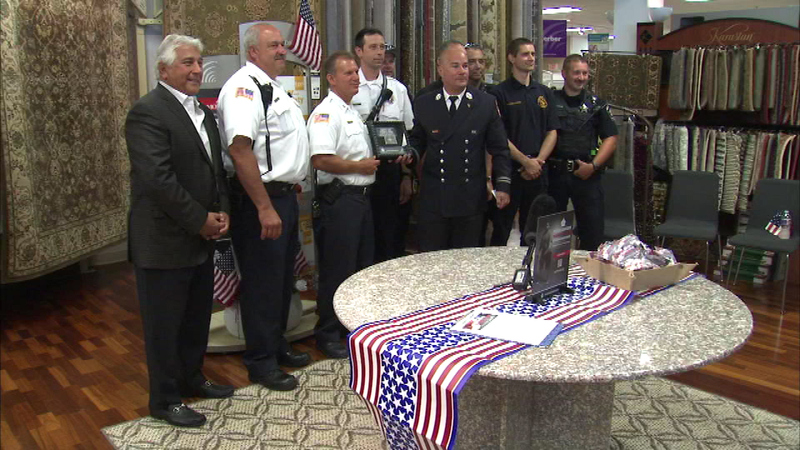 NEW YORK (WLS) -- A suburban company that has helped build homes for wounded veterans was honored Monday by members of the New York City Fire Department. The owner of the company said he was humbled and honored.